Welcome to Everyone at Stephan's Numismatic Webshop! Our Numismatic Web Store is intended to help coin collectors who are interested in old money, gold coins, silver coins, paper money and banknote. Look around and make a choice! Large quantities of coins, weapons and remains of objects have been excavated by the archaeologists at the Ferenczy Museum Center (FMC) in Szentendre on the Danube bank of Érd; the compilation of the finds could have been in the river from a sinking ship in the middle of the 18th century. 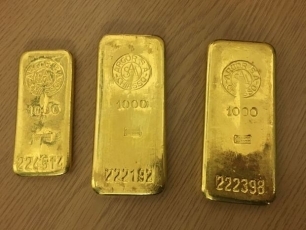 Three gold bars were found in an old kitchen cabinet by a Bremen man, putting the rods at the collector's place of the found objects.